Coat a large frying pan with olive oil and heat on medium. Add the cut up onion. Cook the onion until brown/golden. While the onions are cooking continue with the following directions. In a small bow combine the oil, chili powder, cumin, garlic powder, and dried oregano. Then add the tomatoes and peppers Stir again. 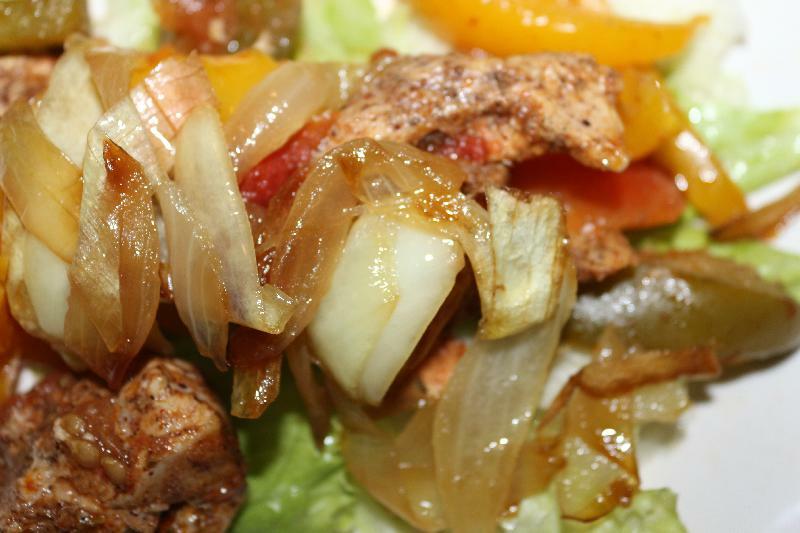 Serve on lettuce and enjoy! 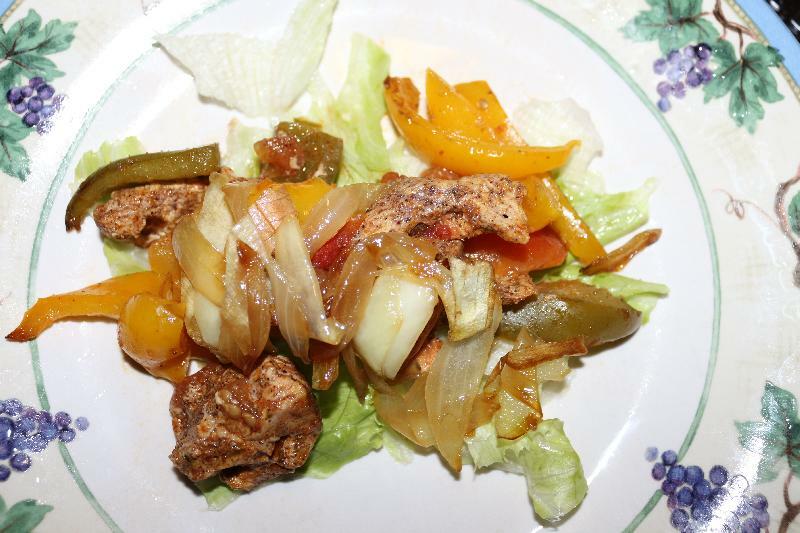 Description: A healthy way to eat chicken fajitas!